Emergency water storage is something that few of us think about. Most people don’t typically live in areas that are devastated by tornados, hurricanes, or other natural disaster. 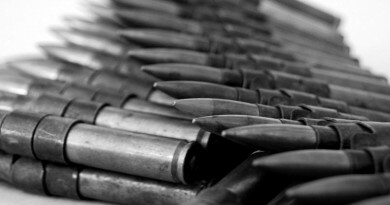 As such, those of us in milder climates tend to be ill-prepared for any major or unexpected disaster. 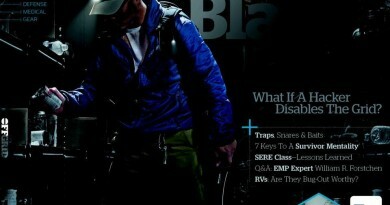 In truth, most of us will experience some major disruption in our lives that necessitates being prepared. Be it a natural disaster, man-made disaster, or simply a freak disruption of local infrastructure. It’s for these reasons that I picked up an Aqua Pod. 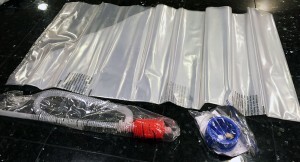 a hand pump and FDA approved, BPA-free LDPE plastic liner for the rapid storage of emergency water. The Aqua Pod is also made in the USA. 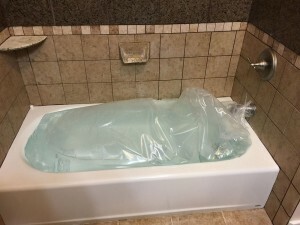 The idea behind the solution is that during an emergency, you deploy the Aqua Pod in a bathtub and immediately fill it to capacity with fresh water. Should you lose clean water through contamination, power outage or other infrastructure failures, you’d have roughly a 10-14 day supply of clean water. Ideally if you have more than one bathtub, you’d own an Aqua Pod for each. However, in a pinch I’d fill up all my bathtubs, Aqua Pod or not, and use the Aqua Pod water for drinking. I don’t know about you, but drinking straight from open air, unsanitized bathtub doesn’t sound very appetizing nor safe. hand or reference any online photos of the proper setup. We simply opened the box and began to use it. I called out instructions while Kevin did each step in order as I stated them. This is the closest approximation we could make to what would happen in a real-world scenario for someone deploying the Aqua Pod for the first time. While the instructions were simple to read and perform in real time, we did run into one issue. More on that later. Once the box is opened, you’re presented with several parts and a single printed page of instructions with 10 steps. Kevin laid out the parts while I grabbed the instructions, reading off the first two steps. 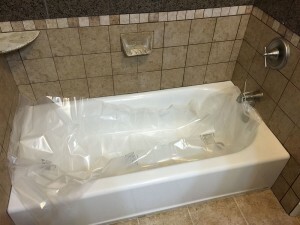 As Kevin was deploying the liner in the bathtub, we both noted that the liner was much tougher than we anticipated. 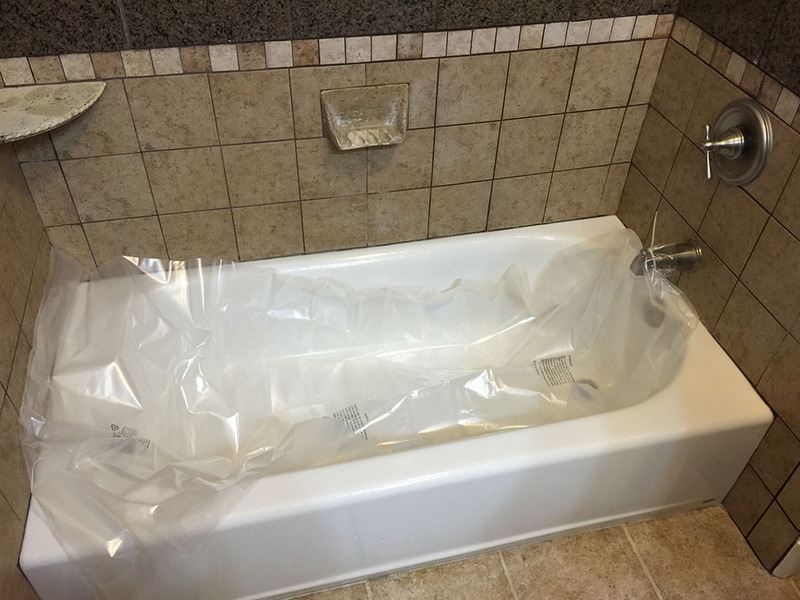 The liner measures 40″ x 80″ when laid out, and was definitely larger than the bath tub we deployed it in. After the liner is sufficiently spread out, you’re required to wrap the liner neck around the faucet and anchor it with a zip tie (included). Once locked in with the zip tie, we began filling the liner under full water pressure. After filing for around 5 minutes, the tub was already half full. This is when we encountered the first and only issue with the instructions. The instructions never suggest in what manner to deploy the liner in the tub. 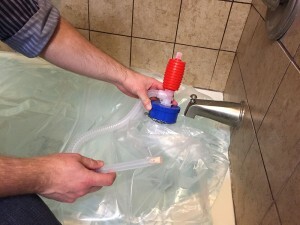 As such we laid it flat in the tub, making sure that the liner neck could sufficiently reach the faucet, without consideration for positioning any extra liner. As the liner filled, it became apparent that we had a lot of excess liner at the rear of the tub, and the liner neck was starting to pull back from the faucet. We decided to halt filling while we adjusted the liner by pulling the excess up towards the faucet. This was no easy feat with roughly 30 gallons of water already in the liner. If we could recommend one thing to the manufacturer, it would be to make the positioning a little clearer. filling is complete, steps 3 through 10 all pertain to removing the liner neck from the faucet, capping it and inserting the pump. 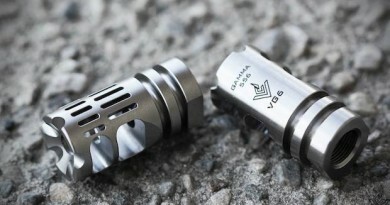 The sleeve capping system and pump is very simple, yet sturdy. From empty tub to pumping water was around 15 minutes of total time. With the pump now in position, it was time to retrieve the water. The pump took only three squeezes to start flowing considerable water. Within about 20-30 seconds, we had a 1-gallon container filled with water. The only way to stop the flow once the siphon effect has started is to put the included cork stopper in the fill tube, so make sure and keep that handy or you’ll be dealing with a big mess. Ask me how I know. of resistance from both Kevin and I when it came to taking a drink. After a bit of goading, we both took a big gulp. Obviously the water was clean despite our hesitation, but most importantly, it tasted really good. There wasn’t so much as a hint of plastic taste to the water. As far as anyone would know, it went from faucet straight to cup. I was very impressed. The Aqua Pod is quick and simple to setup and does exactly as it claims. 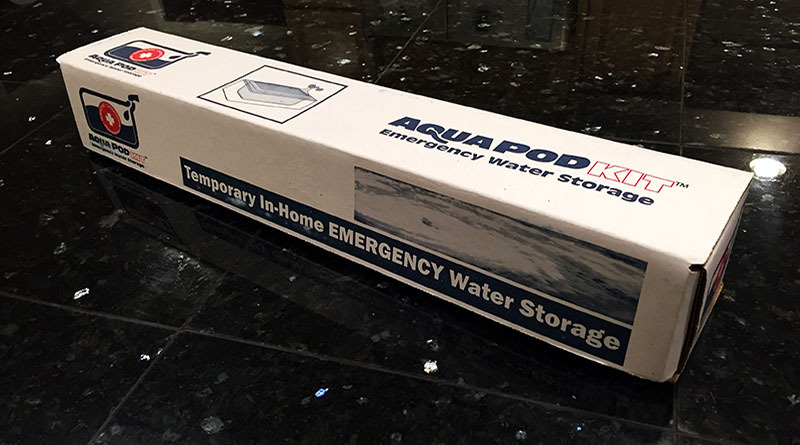 It’s a fantastic product in the emergency water storage realm, and at less than $20, it’s hard not to recommend owning at least one of these. It’s cheap insurance, and the compact storage box ensures that you can leave this on a shelf for 10 years until you need it. The only negative to the product is simply that the liner is single use, and thus I had to discard the liner after this review. You can buy only the liner to save a few bucks, however, since the pump can be used for other purposes it makes almost more sense to buy the entire product once again and keep the extra pump. Overall, I would rate the Aqua Pod a strong buy. Available from Amazon.com for $29.39 at the time of this writing.